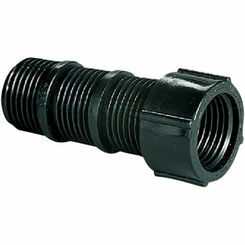 PlumbersStock offers a wide variety of discount sprinkler risers and swing joints for your sprinkler system. Use the filters on the left to refine the product results to match your search needs. 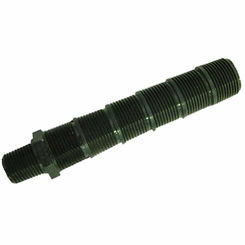 If you need any help finding the right part, please contact our team of helpful customer service representatives and they can help point you in the right direction. 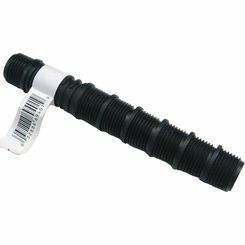 Browse through a variety of options in discount sprinkler accessories. What Is a Sprinkler Riser? 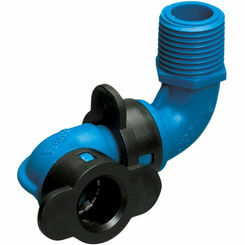 If you have had any experience laying the framework for a sprinkler system, then you understand that the PVC piping does not always situate quite the way you intend. 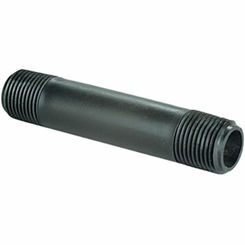 In many cases, the pipe ends up too far below the ground for a surface-level sprinkler head to reach it. 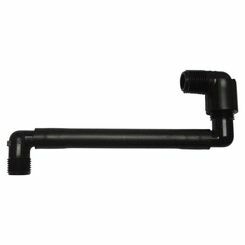 Maybe the pipe does not reach the end of the yard, so you need a way to extend the supply line a few more inches to get full coverage. This is where risers come in handy. Funny pipe can extend the line, but it does not always get the job done. 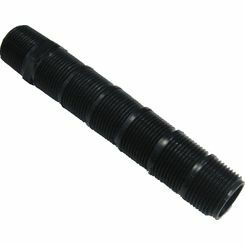 You want to avoid using really long funny pipe because it is more likely to develop a puncture and the deeper down that you must dig, the more difficult the replacement job. 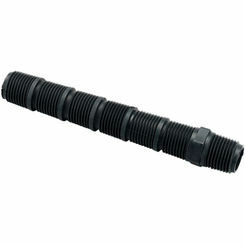 We carry Rain Bird risers as well as Orbit risers are available and are built to last. B&K Mueller is another great option. 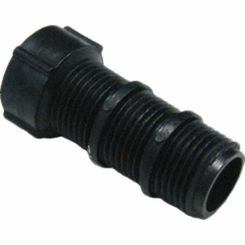 This type of irrigation riser is the most common you will find. 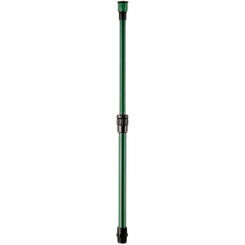 It is the most affordable kind of riser, which may explain why it is the most popular. 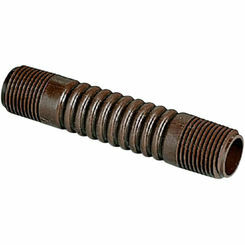 These parts are very sturdy, though they should be properly placed so you can avoid putting undue stress on them. 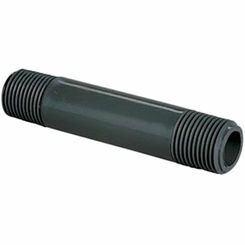 The cut-off riser is typically about 6 inches but here at PlumbersStock we offer 12-inch risers, too. They can be conveniently cut to the desired length. 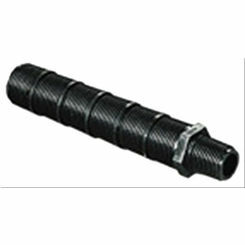 This type may be the best overall option because it is so easy to work with, affordable, and durable. Just be aware that this sprinkler riser is not compatible with most rotor sprinklers because the inlet is not large enough. 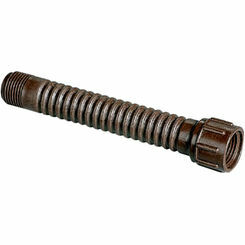 Swing joints are so easy to install. We encourage you to cut the pipe too long and once it is connected to the supply line you can get a better look and cut more off for the desired length. 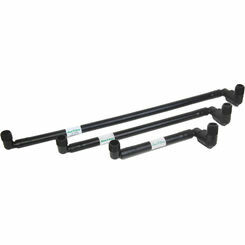 Also commonly known as funny pipe, these risers give you the flexibility to position the pipe in any way you want. 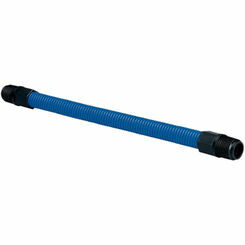 It can be contorted in any way you need it to without hurting the water supply. Some landscapers joke that they have tied these in a knot and they still worked. You only want to use it with smaller spray-heads. 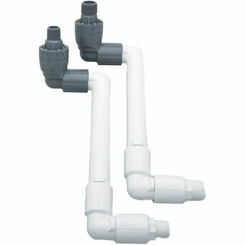 When you want to avoid replacing the entire irrigation riser, these solid pipe solutions will save you time and money. 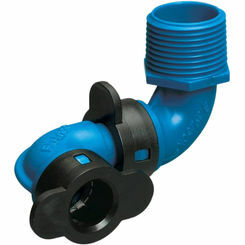 When you need a sprinkler riser and do not have time to run to the hardware store, PlumbersStock has your back. With the best prices on the web for lawn and garden supply, great service, and fast shipping we encourage you to do all your HVAC, irrigation, and plumbing shopping right here.